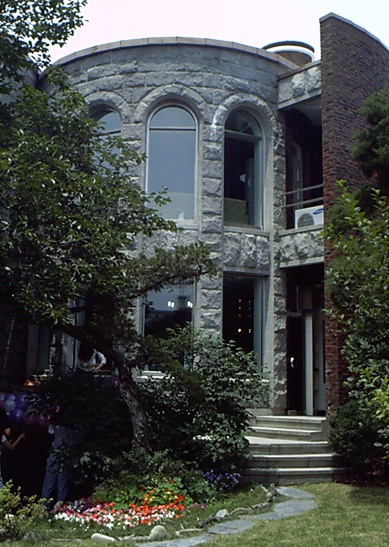 The House for Korean Root, "KoRoot", opened on July 7th to host Korean adoptees visiting their ancestral home, Korea. "KoRoot" is a non-profit organization, founded to provide a shelter to Korean adoptees scattered all around the world. Any Korean adoptees can stay in the house run by "KoRoot" paying a ten dollars a day. They will also have opportunities to experience Korean culture through various programs supported by Korean volunteers. "I have seen many Korean adoptees in the United States having trouble assimilating into the Korean American community. I thought we Koreans should help them find ways to be accepted to Korean society so they can find out what they truely are," explained Kim Gil-ja, one of the co-founders of "KoRoot", when asked about the motive to start off the organization. 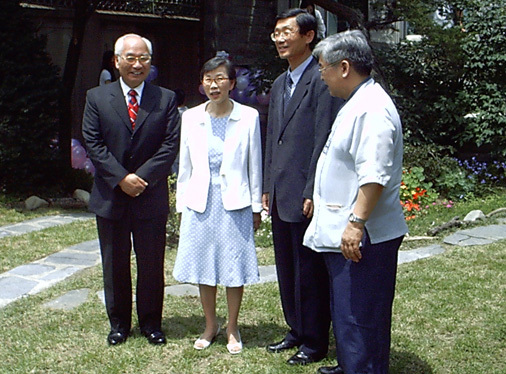 As Kim was joined by minister Seo Kyung-seok, her plan began to invite attention from some 100 supporters, including Chang Man-soon, the former ambassador to Geneva. They decided to use Kim's private house as a hostel for Korean adoptees coming to Korea, and with the financial support of an anonymous donator, they have finished having the house remodeled. Many businesses donated commodities, such as computer and furniture. LA senator Shin Ho-bum (Paul Shin), the president of the supporters' association, who is an adoptee himself, expressed his deep gratitute saying, "Korean adoptees must be happy to find out that there is such a great place founded for them in Korea." A large number of Korean babies were sent abroad, particularly during the 80's. And now, about 2,000 to 3,000 Korean adoptees visit Korea without any relatives in Korea. Minister Seo emphasized that those adoptees must be welcomed and feel at home staying in Korea. "We need everybody's help. Volunteers are always welcomed," said Kim as she spoke of the importance of volunteers and donations. For those who are interested in volunteering or donating, "KoRoot" can be reached via telephone (02-3210-2451), or the website www.KoRoot.org. Mr. Jun-seok Yang serves as staff writer of The Seoul Times. Mr. Yang, who studied journalism at Michigan State University, covers culture and social affairs.